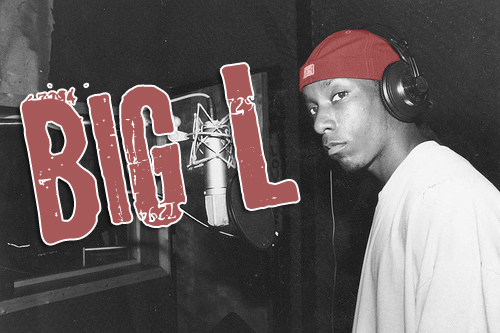 February has always been a tough month for the art form of Hip-Hop; not only did J Dilla and Big Pun pass in February, but this month also saw the demise of Big L: one of the greatest emcees of all-time. It seems like the youngest people with the most amount of talent are always the first ones to go, and in Big L’s case, it’s no different. Although he didn’t have a long illustrious career in the rap game, many people still consider him to be one of the greatest emcees to have ever graced the mic. At the time of his death, it was rumored that Big L was in the process of signing to Roc-A-Fella records with Jay-Z and other members as a group called The Wolfpack. There’s no telling what would have happened if Big L would have never been killed; would Jay-Z still be considered the greatest emcee of all-time? Would I be considering Elzhi the sickest rapper in the game? Who knows… but I can assure you that Mr. Coleman would be amongst the ranks of the most relevant rappers in this or any generation. Big L only released two studio albums while he was alive, and to this day, they both remain classics in the eyes of Hip-Hop heads around the world. This entry was posted on Wednesday, February 15, 2012 at 7:35 pm and is filed under News with tags Big L, Lamont Coleman, R.I.P., Rocafella. You can follow any responses to this entry through the RSS 2.0 feed. You can leave a response, or trackback from your own site.